Discussion in 'Espionage Report' started by darthskellington, Apr 23, 2012. A while back, I was able to enjoy a rare opportunity to open and play an obscure Star Wars game. 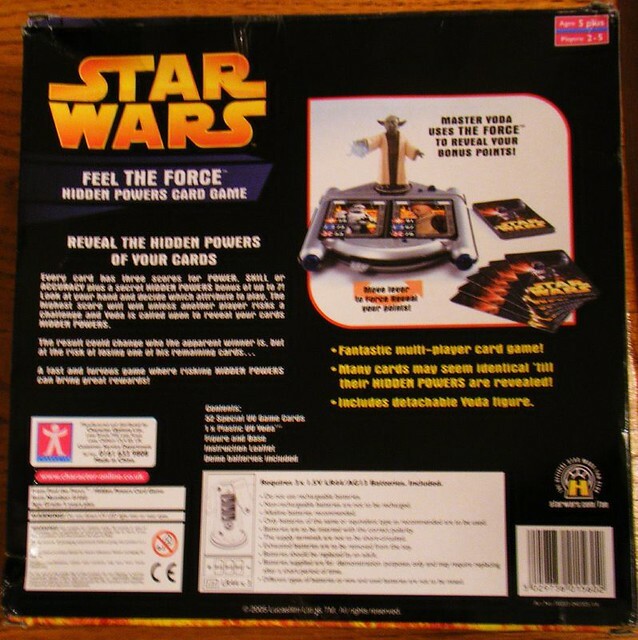 If memory serves, the Feel the Force card game is from the UK, and provides a technological twist to the Trumps card game idea. In essence you are playing Tops Trumps against your opponent. Whichever category you choose, if your number is higher than your opponent, you win the round. 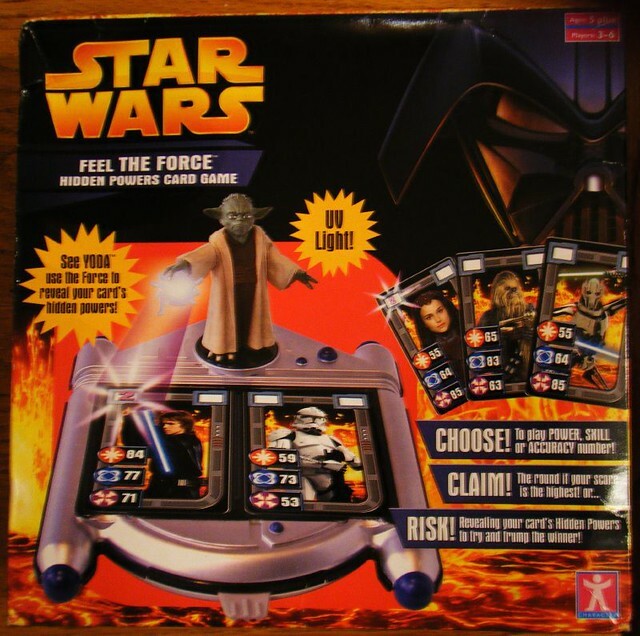 This game, however, allows you to challenge your opponent, and allow Yoda to decide the winner. In such a case, you each place your cards on the platform. Yoda uses the force, aka an ultraviolet light in his hand, to reveal a hidden number on each card, thus determining the winner. While the game could only hold our attention span for two games, the gimmick was quite unique and pretty cool. My apologies for the blurry images...the game was not very photogenic.